In line with the 2018 Competitive Agreement and competition / events calendar, Competitive Squad members compulsory competition nominations are automatically generated by the competitive coordinator. Online nominations for these events are not required from members. Please refer to the competitive calendar for details for compulsory events. For events listed as ‘optional’ that you wish your gymnast participate in, please complete and submit the online nomination form below. Please complete the below form to submit your gymnasts’ nominations for the 2018 competition season. You may nominate for all events that your gymnast has been invited to (refer to the competition calendar) in one submission or alternatively you may complete one form per event inline with the closing dates. Please note that submission of a nomination form indicates your intent to participate in that event, and you will be invoiced accordingly. Refunds / part thereof will only be issued in the case of illness or injury and a medical form is required. The closing date for each event is listed below with the competition title. Ensure that you complete a nomination prior to the closing date. No late entries will be accepted. There are two fees associated with each event. •The ‘Host Club Levy’, this fee is set by the host club and all monies taken are forwarded onto the host club on your behalf. Nomination fee amounts vary and will be listed on the Competition Notice Board (on the stairs to the viewing area) as the host club advises.  Based on the 2017 season the approximate cost per event is between $40 – $60 (not including Junior Regional’s, QLD Clubs and State Championships) •The ‘SCG Levy’, is calculated based on the foreseeable expenses incurred by GymSports FNQ @ South Cairns Gymnastics to attend an event. This fee is set per competition and listed on the Competition Notice Board once entries have been received and event information finalised.